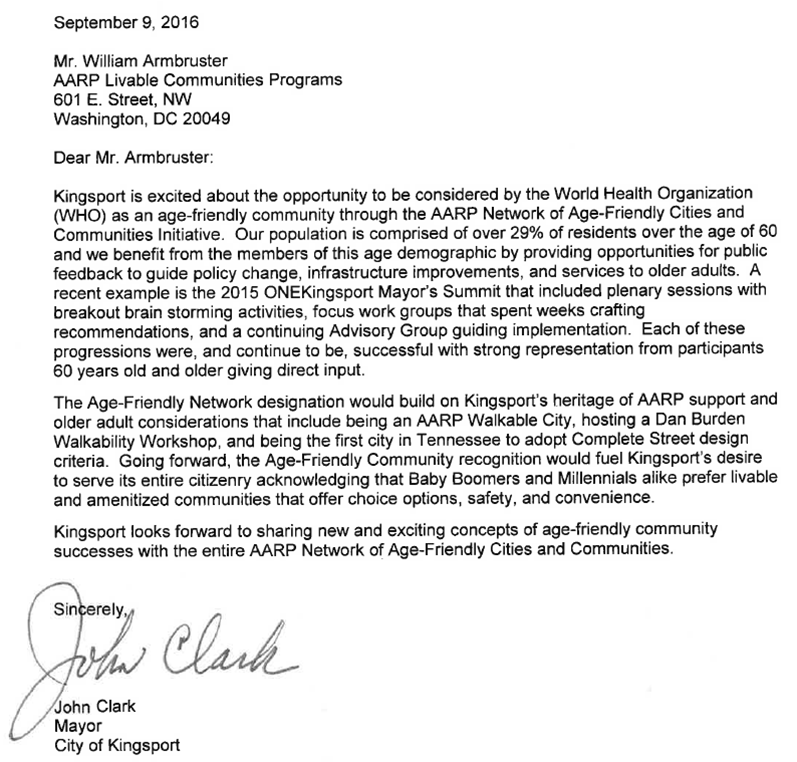 Kingsport works to engage older people in our community in a variety of ways. Our ONEKingsport Summit involved over 200 citizen volunteers in development and implementation of initiatives to help make our city a more age friendly community. The ONEKingsport Advisory Board we appointed represents all demographics of the city. We are also proud to embrace the Integration of generations in community representation in various forms of local government. Lastly, the Eight Domains of Livability as described by the World Health Organization’s Global Network Age-Friendly Cities and Communities are integrated with ONEKingsport Summit initiatives.